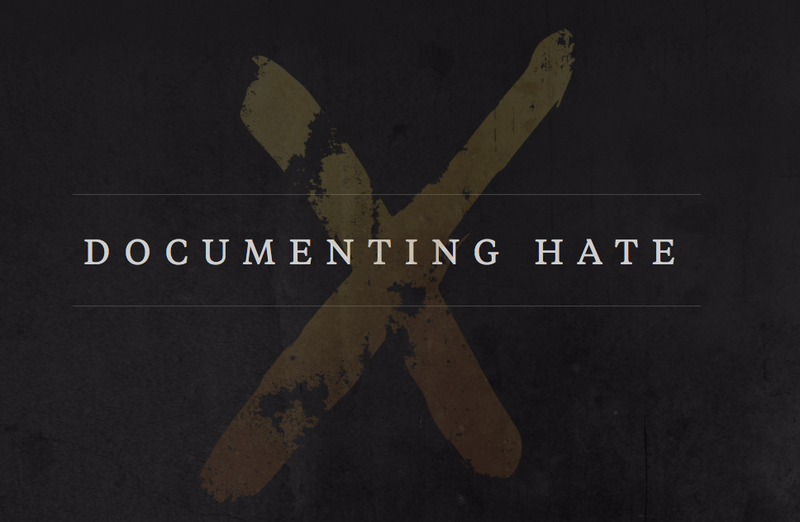 Documenting Hate logo from the ProPublica site. There are collaborations that come to life to report on vast troves of data and then there is Documenting Hate, a collaboration created to address an absence of data. In the wake of the divisive and racially-charged climate of the 2016 election, reporters found that reliable national data on hate crimes did not exist. With a grant from the Open Society Foundations to support their work, ProPublica created Documenting Hate to fill in those data gaps this past January. This collaboration of just over a hundred news organizations, technical partners, universities, civil rights groups and college newspapers has taught its managers critical lessons on collaborative journalism, including the importance of clear communication, flexibility, and having reasonable expectations. Right away, partners were producing stories about the increase in verbal attacks, racist graffiti and assault and murders. Stories about xenophobia and racist speech from during and just after the election including one take from the Huffington Post that highlighted the many ways people were told to “Get out of America.” More recent stories have examined the lack of data and challenges around getting states and law enforcement to do better. The person coordinating the effort and working daily with the organizations is partner manager Rachel Glickhouse. While collaboration is nothing new to the organization, the role of partner manager is the result of lessons learned from other large scale projects the organization has undertaken. 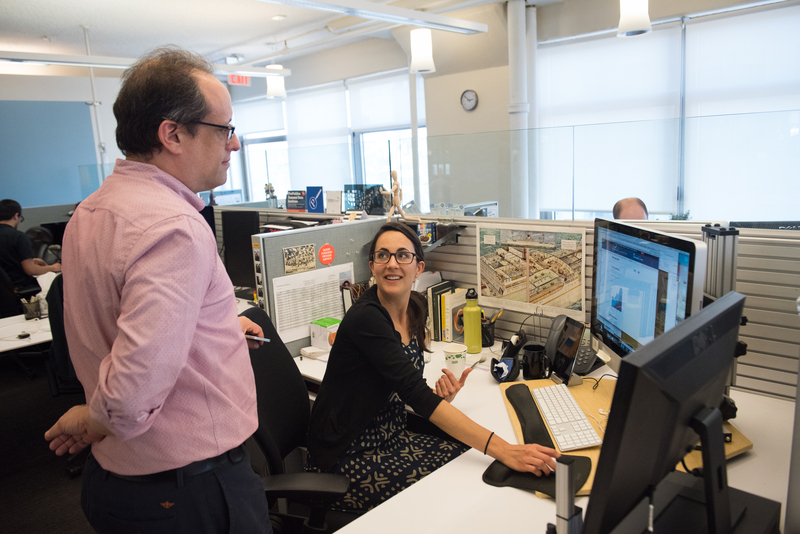 The newsroom partners vary in size and location and make up the core of the reporting project. A recent addition this fall brought on 11 college newspapers. First Draft Media, through their own grant, works on the project through partnering with journalism schools to look at what can be learned about hate crimes through through the lens of social media. The shape of the project itself is not unlike that of a wagon wheel with a central hub both feeding and receiving information from partners along the spokes. Organizations participate by embedding a form the ProPublica built to collect user-reported instances of hate crimes from their respective audiences. All of that information along with data from law enforcement, community groups, news reports and organizations that track such instances go into the project’s database. Partners can access that database and look for information relevant to their reporting efforts. Glickhouse also contacts organizations with tips and highlights of data that may be relevant for them. While ProPublica itself reports on the topic, the majority of the reporting about specific local instances is done by newsrooms more local to the incident. As partners come and go from the project, a priority for Glickhouse has been optimizing the onboarding process so that partners can quickly navigate the system and effectively use the tools available. All partners are invited to the project Slack where the majority of communication happens. A Slack bot helps orient users with information on where to find things, what channels are relevant and points them to an FAQ and documentation. Partners participate in trainings on how to use the database and understand the data. After onboarding, contact varies depending on how engaged a partner is or questions they might have. Each week, there’s a hangout office hours that partners can attend if they want additional contact or have questions to be answered. Otherwise, flexibility is the order of things with interaction that happens as reporters work on stories. Glickhouse focuses on being proactive about sending out tips and helpful information as she sees things come into the system. “I try to make an effort as much as possible to give people helpful information that might be something that they can use, something that’s actionable for them,” Glickhouse says. Involvement in the project ebbs and flows as information that’s relevant to an organization comes in. This flexibility allows partners to participate when it makes sense for them. What does it mean to join a large collaborative project? Most newsrooms can’t launch large collaborative projects, but joining an existing project can be a good option. However, it’s important to commit to projects focused on topics relevant to the organization. “It should be something you know you are going to be working on. Not just your newsrooms, but you specifically. 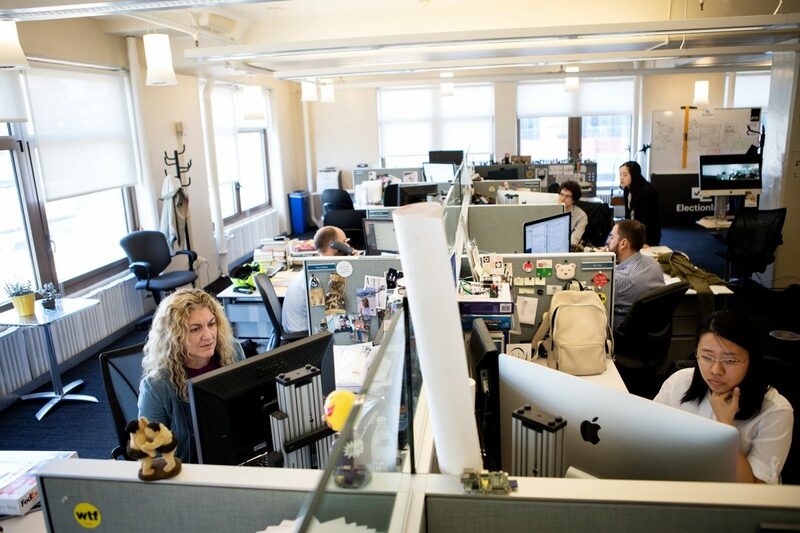 The point person for your newsroom should be the people on the beat,” Glickhouse says. She says communication is more effective when it’s between the reporters and editors that are actually working on the stories. With busy news cycles, trying to expand coverage outside of an organization’s regular beat often leads to being stretched too thin. Finding a project that works with what’s already being done to enhance coverage is a good onramp to collaboration. When it comes to agreements and contracts, Glickhouse says it’s not always the right fit. Glickhouse points to that flexibility as a key to success. Glickhouse recommends organizations take care to thinking about their time and opt into projects that make sense for them. She says it’s a common urge for projects to set high goals for how much can be produced but focusing on impact is a steadier route toward a successful project. When it comes to impact, stories from the project have changed the way Cloudflare does business, removing support from neo-Nazi site, The Daily Stormer. A Buzzfeed series about hate incidents in schools generated more than a million pageviews and prompted attention from Chelsea Clinton, Rep. Judy Chu (D-CA) and the president of the national teachers’ union says Glickhouse. ProPublica’s in-depth reporting following Charlottesville help clarify what happened during the protests. “I also think the Boston Globe’s bias incident story is really well done in showing how these incidents affect the fabric of daily life in communities,” Glickhouse says. One of the things that the project had to figure out was how to communicate exactly what it was offering partners. The key is “making very clear what it is that you can give them and finding out if that is actually going to be beneficial to them,” Glickhouse says. For the partners, the value comes from information that allows them to both drill down to the local level and also see the similarities between their communities and other places. “We see the same thing happen over and over and it happens in totally different places and I think it’s useful, particularly for local journalists, to see the parallels in what’s happening in totally different cities far away from them,” Glickhouse says. The data part of the project works so that tips that come from a specific outlet’s form is theirs first. If another organization wants to use that information, it’s coordinated by Glickhouse, who has been pleased by participants’ generosity.